Buy one get one tasting. 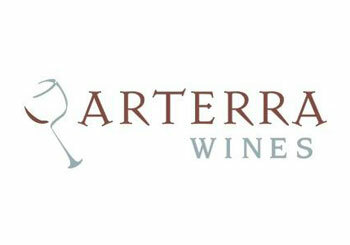 Located in Delaplane, Virginia–the heart of Virginia Wine Country, Arterra Wines is a cutting edge new winery. Owners Jason Murray and Sandy Gray-Murray are a husband and wife team who have combined their passions under one roof: wine and art. You’re invited to experience this intimate, highly focused venture nestled on a beautifully wooded mountainside. There they produce wines with true distinction, emphasizing all Virginia has to offer. They have coined the phrase “Authentic Virginia” because the wines are made using Native Yeast Fermentations which truly express Terroir in a way that no other process can. The wines are created with a minimalist mindset in order to guarantee the fruit is what you truly experience. Arterra Wines is a non-conventional winery; they value the customer who appreciates the effort put into creating an experience based on integrity, craftsmanship and authenticity. Hawkmoth Arts gallery is also on site. Hawkmoth Arts offers hand crafted original artworks largely inspired by the wine making process. This hidden gem promises to offer you peace and tranquility as it is hidden away from the hustle bustle of life, allowing our customers a breath of fresh air!